Volunteers are the heart of our organization and a crucial part of our community. 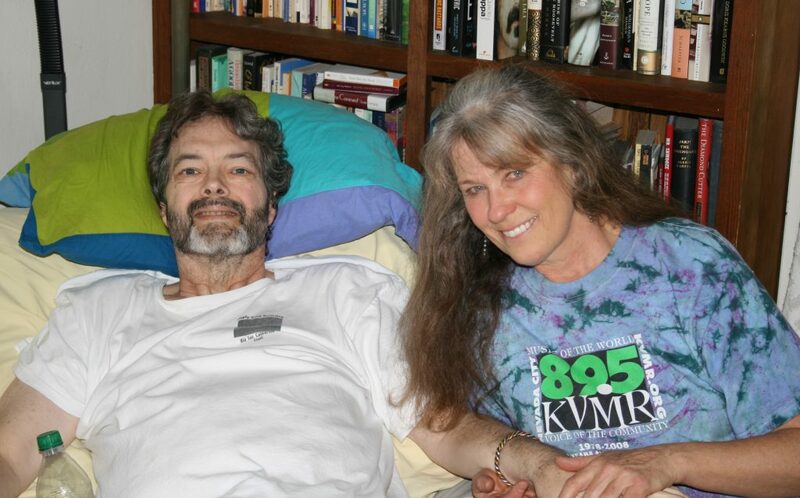 We seek reliable, friendly, compassionate and loving volunteers to provide care to the caregivers and their loved ones in Nevada County. Giving your time and energy to our volunteer family can be enjoyable and very satisfying. You will be providing necessary companionship and compassionate care to caregivers and their loved ones in their home. 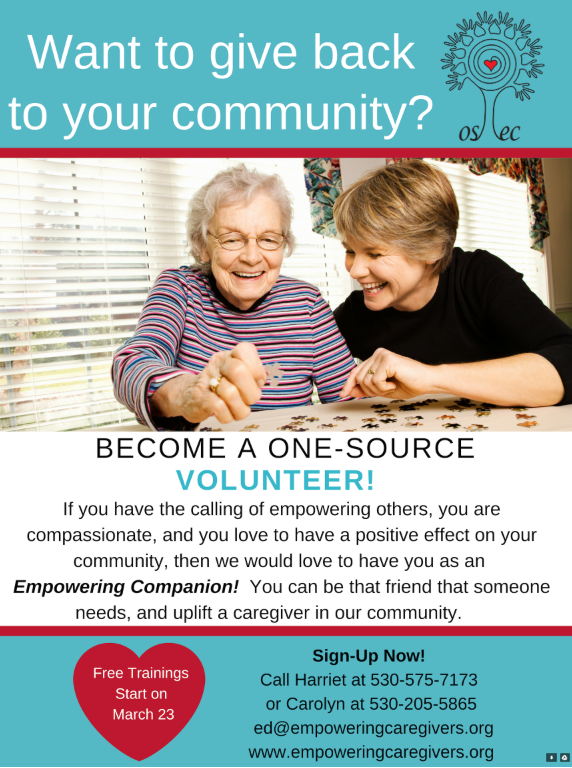 If you are searching for a meaningful activity, and have a few extra hours a week to spare, we would love to speak with you about volunteering with One Source – Empowering Caregivers. You do not have to hold a special degree or have any medical training, just a desire to help another person in need. We will train you. Click on and fill out the Volunteer Preliminary Inquiry form on this page to tell us a little about yourself and your interests. Our Volunteer Coordinator will then contact you to discuss our volunteer opportunities and answer any questions you may have. Fill it out the application and bring it in with you when you come for your interview. Training starts March 23, 2019.